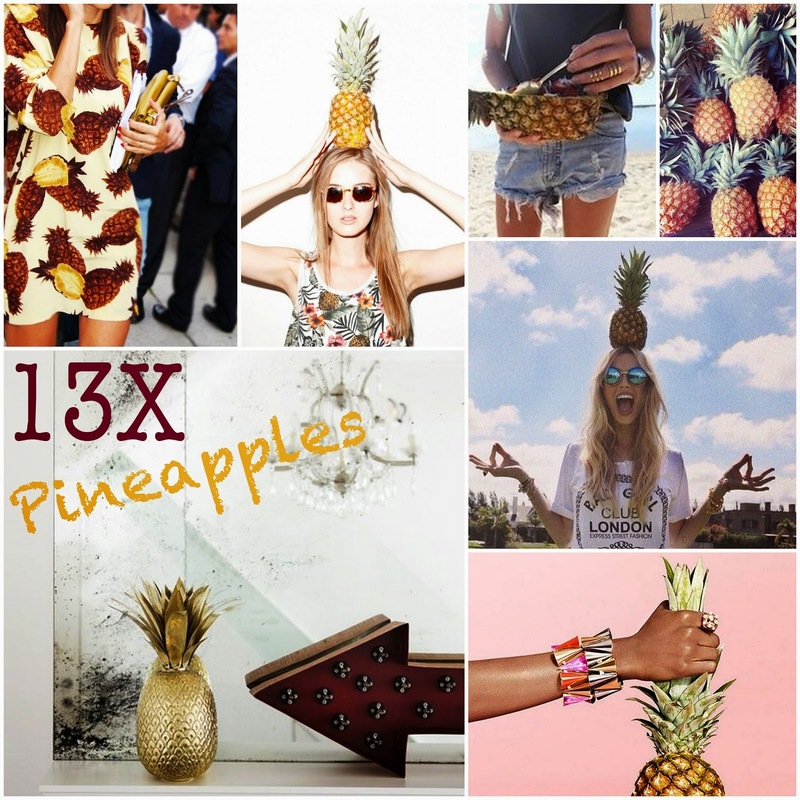 One of my fav trends of this season; pineapples. You see them everywhere, from interior to fashion and fashion adds like Marc Jacob's new add for this season. 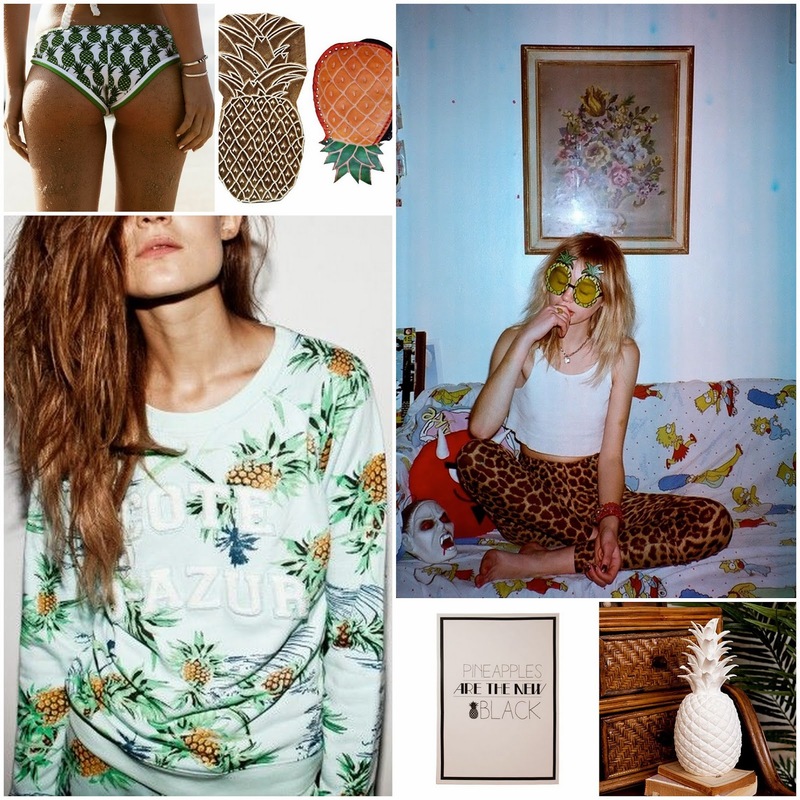 Basically.. Pineapples are the new black ;-). What do you think about this new trend? Love it or hate it? Find all these pictures on my Pinterest page. 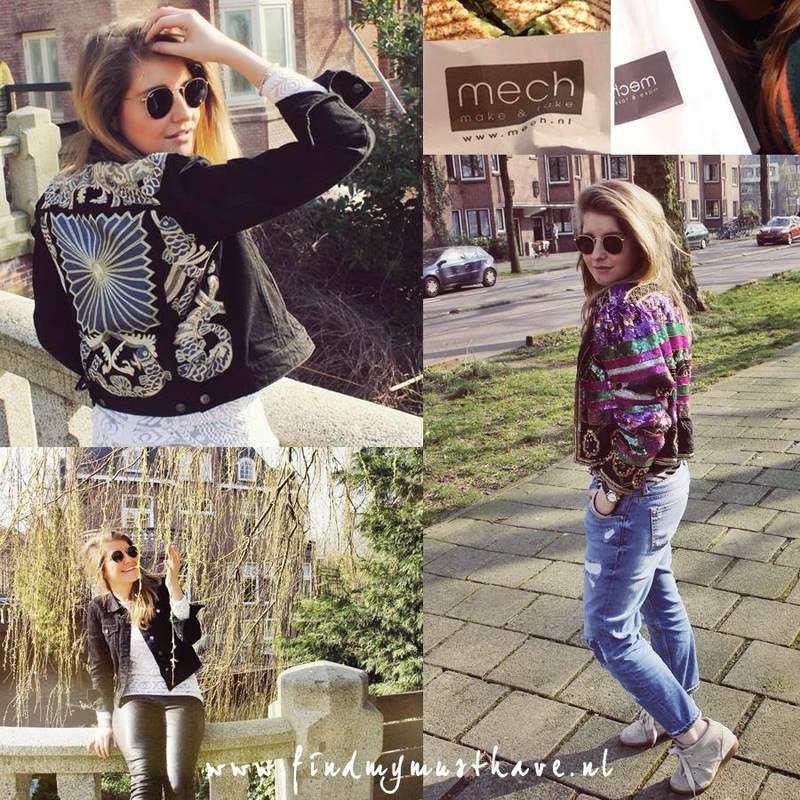 Have you already checked out my PHOTO BLOG on FindMyMusthave.nl? 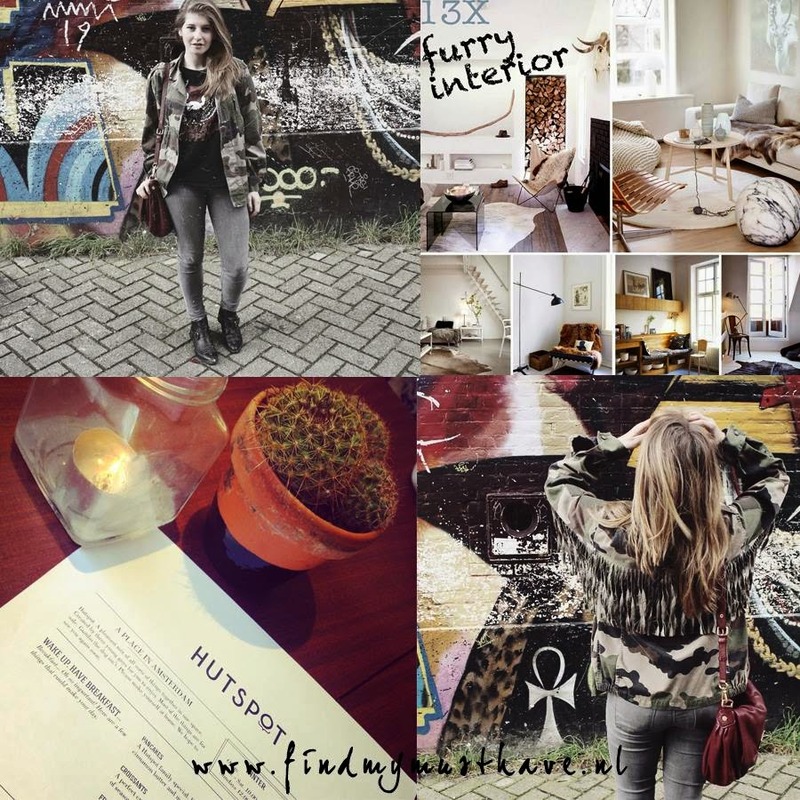 Go to the website to check out loads of outfit photos including and hotspots in Amsterdam! Hi guys! How have you been? I have been so busy working on my assignments and studying for my upcoming exams. So after my lunch with one of my closets friends Sophie, she assigned us to this cool spot to take some outfit photos. Another friend of my told me that I have so many pieces in my wardrobe which I have barely wore this/last season. Thus I took a closer look in my wardrobe and found this bag of Marc by Marc Jacobs. I've bought it in Boston, when I used to live there for three months two and a half years ago. I love this bag, and it is great for in the city, think of riding your bicycle in Amsterdam, shopping or whatsoever. The question is, why do I barely wear this bag? Well, no clue! So here it is again! Showing off my Marc by Marc Jacobs piece with my cool vintage military jacket (which I indeed also barely wear). What piece do you forget to wear sometimes? Or pieces? ;-) Let me know! Hi guys! Here some interior inspiration! Soon I will be moving in with one of my best friends in our fabulous apartment in the heart of Amsterdam. However, the walls are white, that doesn't mean interior will be cold and boring. 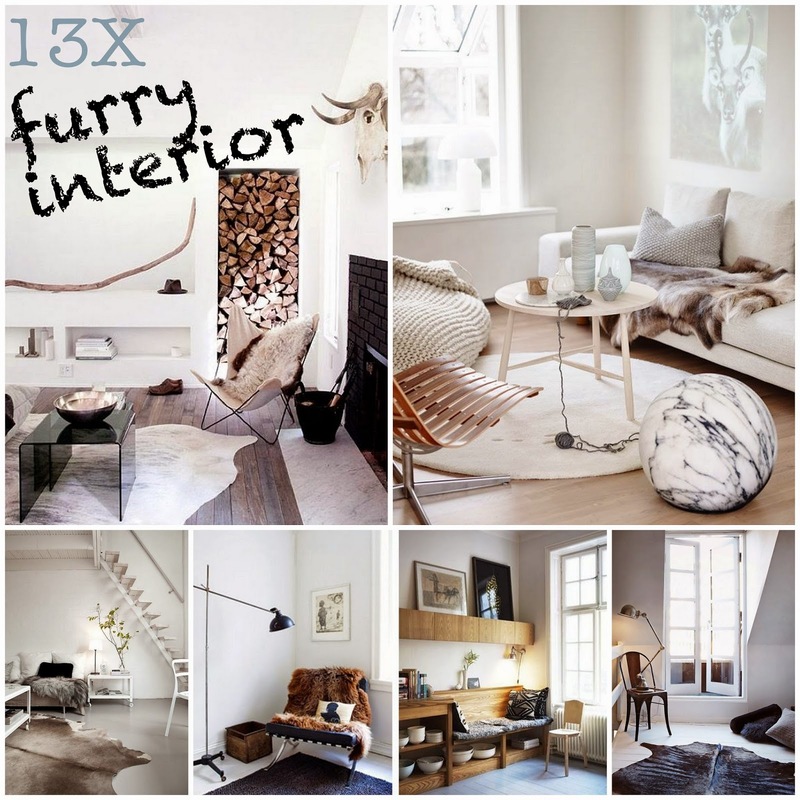 We love the idea to bring a lot of rugs and fur into the house. Thus that's why share these photos with you! Find more on my Pinterest! Hi guys! How are you? As you may know I'm fond of the old Haarlemmermeer Station in Amsterdam. And at the moment blogger Brigitte from B50FashionWise and I were looking for some awesome location up there, we saw that the old trams were out ready to get prepared for this season. Of course we couldn't resist to take some pictures! I am wearing my (only and) favorite crop top. Well, with my height it isn't that much of a crop (I am only 1,59 m..). And lucky for me it is a bit longer, because I am not really in shape, however a bit more winter spongy as a call it. So I just started with running and yoga and field hockey for this season, however I want to start kick boxing again, one of my fav sports so far! So we'll see what comes out of it ;-). What is your sportive goal for this summer? Let me know! Have you already checked out my PHOTO BLOG on FindMyMusthave.nl? Go to the website to check out loads of outfit photos including pictures of the Mrs. Carter Show from Beyoncé! Hi guys! How are you? I'm still enjoying the concert of Beyoncé from yesterday night in the Ziggo Dome in Amsterdam. The Mrs Carter Show was incredible, including her fabulous performance with dancing, singing and amazing visuals. It was a night I'll never forget. Make sure you check out my Instagram account (@maudschellekens) to see the pictures and videos of yesterday! Were you one of the few lucky ones? Let me know what you thought of the show! Hi guys, A new outfit post again! I shot this outfit quite a while ago, however, I totally forgot to post it, thus here you go! Lately I have been taken outfit shots together with blogger Brigitte from B50FashionWise. She started off last January with her fashion blog for women above 50. It is only for people from the Netherlands however, because she writes in dutch (if you cannot read it, looking at her fab outfits is enough to get through your lunch break ;-)). However, it is a real must to check out her outfit posts and in addition awesome texts. 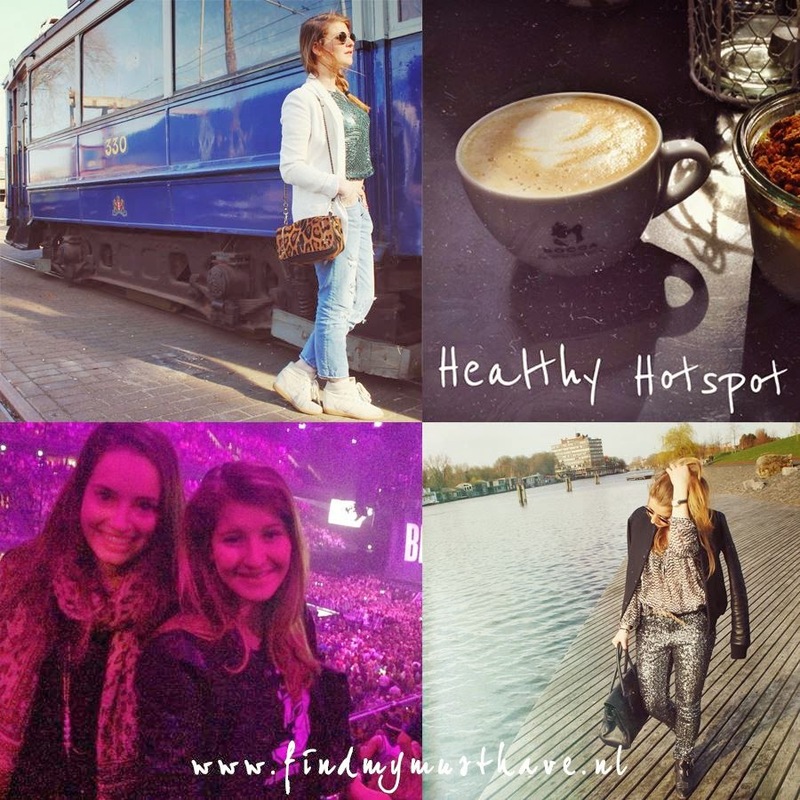 She posts everyday (from Monday until Friday) outfit posts shot on the hotspots and secret places in Amsterdam. Now that we shoot our outfit photos together, I discover amazing places in Amsterdam with her. Such a cool experience! Soon I will make an outfit summary of my favorite shooting locations. Stay tuned! Hii guys, Did you all enjoy your weekend too the max? I finished up my exam week (YES! ), however, I'm still ill.. I think the flu got me. The best remedy to look better when you are feeling down or just like me sick, spice up your outfit with some colors. You should give it a shot! You make the outfit, however, when you're not feeling OK, the outfit can make you! 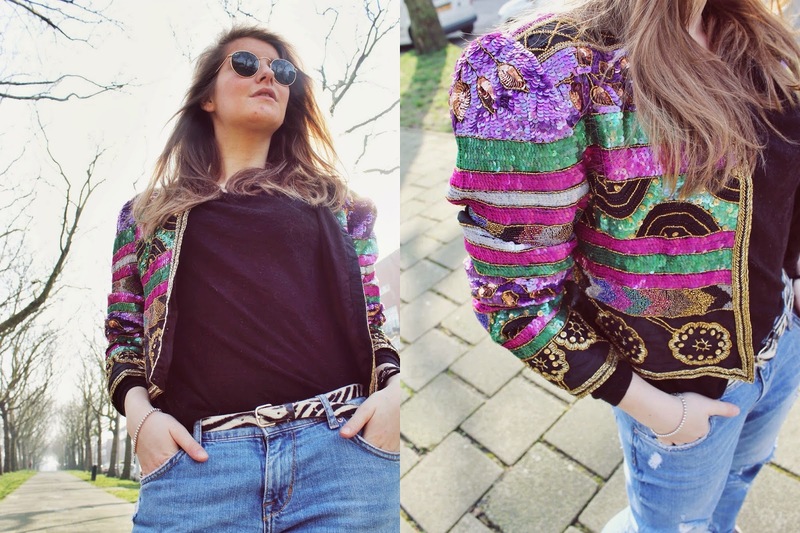 That's why I chose to wear this vintage sequin jacket. What do you prefer to wear when you're feeling down or sick? Let me know! Have you already checked out my PHOTO BLOG on FindMyMusthave.nl? Go to the website to check out loads of outfit photos including my new H&M Spring Collection purchases! 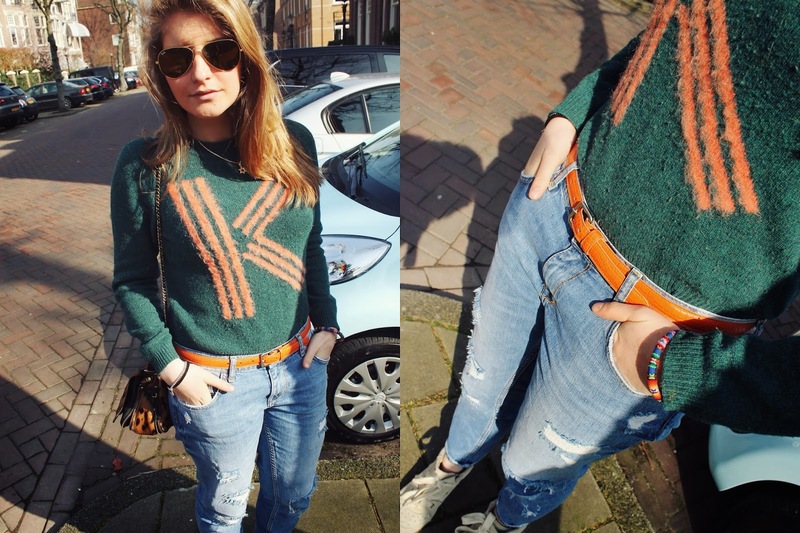 Hi guys, As promised on Instagram and Facebook here's my Special K outfit post. The sun is shining like crazy in Amsterdam. However, it is still a bit chilly. So I totally forgot I had this green knit from Kenzo somewhere in the back of my closet. So I grabbed it out of my wardrobe and combined it for Spring with my all time favorite Isabel Marant bobby wedge sneakers (which look whiter on the pictures than they are in real life) together with my new Zara jeans, Massimo Dutti orange belt and Jerome Dreyfuss leopard bag. Finished up with sunglasses, obviously, from Ray Ban. Now I'm going to hurry up, because I am heading to the terrace and will enjoy the sun too the max with my friend! Enjoy your day!